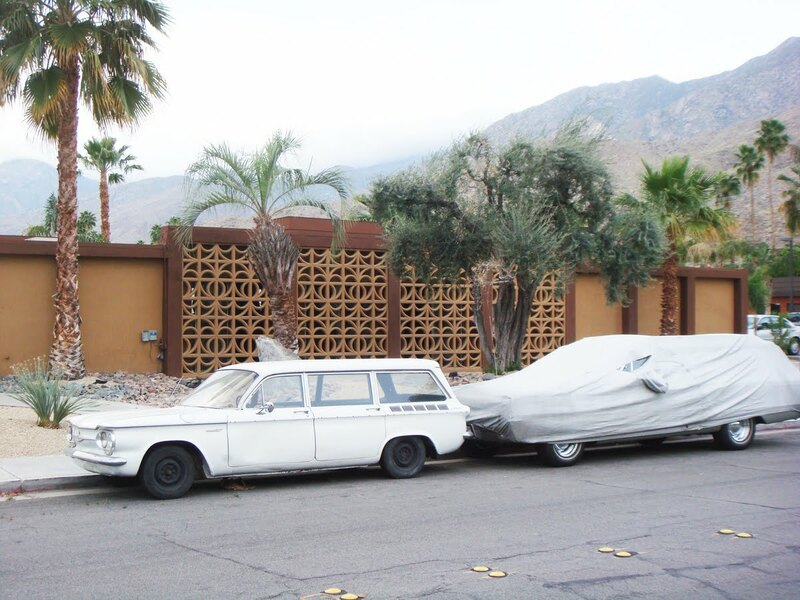 Mid Century Modern Screen Wall in Palm Springs, even the cars are original 1950s (credit nova68.com). 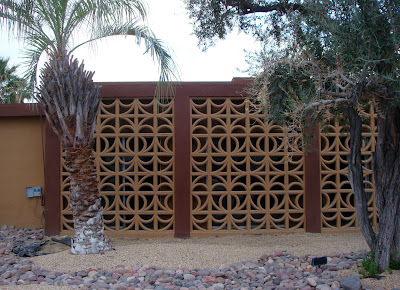 Only one type of screen block was used (a cut-off number 6 screen block); by rearranging the screen block, someone with a great sense of design was able to create this very unique mid century modern screen wall in Palm Springs (credit nova68.com). 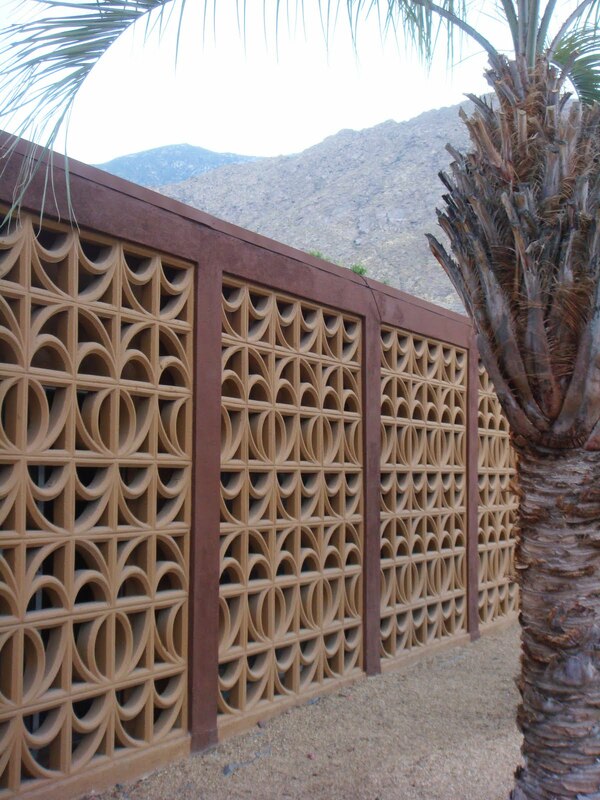 Only one type of screen block was used; by rearranging the screen block, someone with a great sense of design was able to create this very unique mid century modern screen wall in Palm Springs (credit nova68.com). Mid century modern screen wall in Palm Springs. Only one type of screen block was used (a cut-off number 6 screen block); by rearranging the screen block, someone with a great sense of design was able to create this very unique mid century modern screen wall in Palm Springs. This wall faces an apartment complex directly behind the Caliente Tropics Resort. It is located on 581 E. Twin Palm Drive in Palm Springs California. Dates back to the 1950s (credit nova68.com).